Yin & Vinyasa Yoga, Tai Chi Chuan, Qi-gong & More! Dragon Spirit Yoga : 50 Hour Immersion! Full Moon Retreat by the Sea: 9/16-9/18! Dragon Spirit Yoga & Chi-kung! 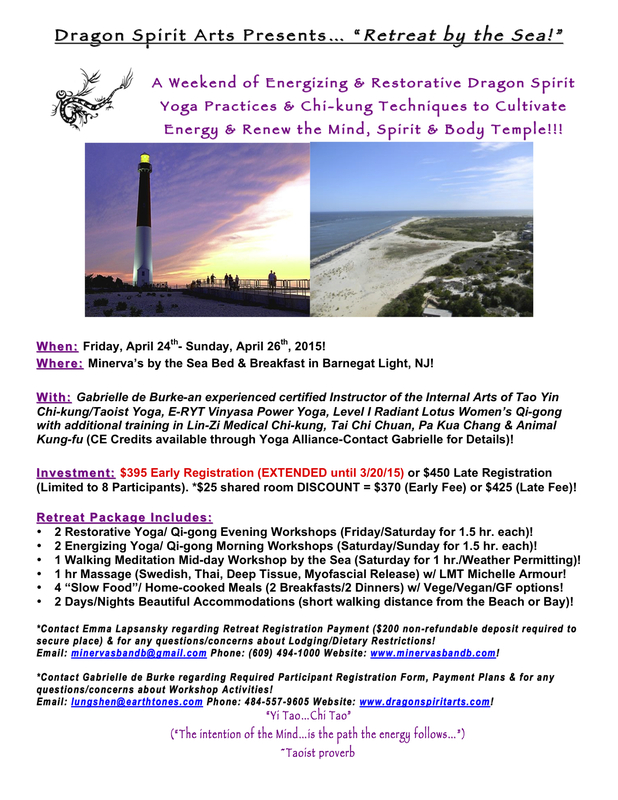 Retreat By The Sea: Early Bird Discount Deadline EXTENDED! The 2015 Spring Retreat By The Sea: Early Bird Discount Deadline has been EXTENDED to 3/20!!! Posted by gabrielle de burke. ← Women’s Qi-gong Workshops @ HAS: Updated Schedule!! !